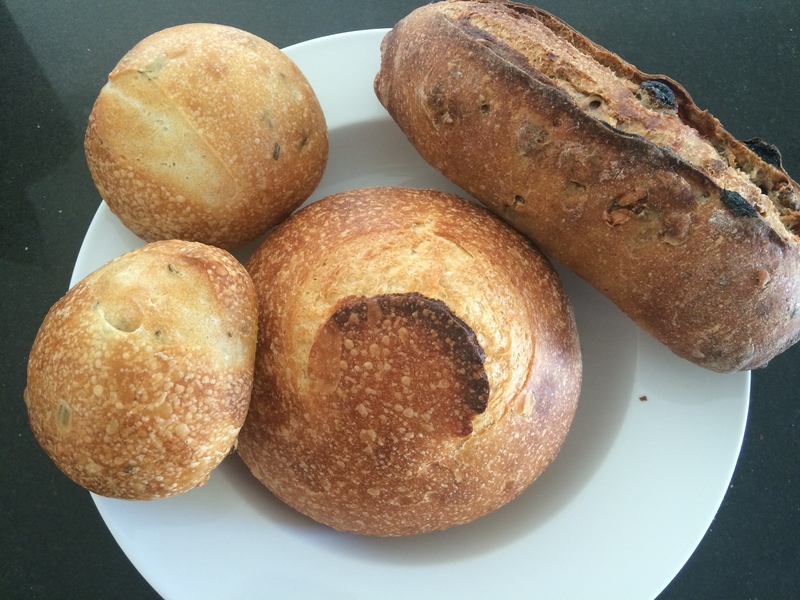 I chose an assortment again today, picking a Walnut Raisin petite loaf, a sourdough boule, and two rosemary rolls totaling 540g. I’ll probably make a few veggie sandwiches, and eat the sourdough with some vegetable bean soup leftovers. I weighed in again today at my previous low 79.7 kg from last week. It’s always nice to reproduce a low weigh-in; it tells you that the previous measurement wasn’t a fluke. This is my typical slow and steady progress under the all-you-can-eat-with-vegetables plan. Yesterday, I ate 340g of bread, a bowl of noodles, a bunch of almonds, and a dinner of tabouli, caprese, and lentil salads. That seemed like the right amount of food, since I did spin class in the morning, and rode 30km before dinner. I’m not sure if I’ll exercise tonight or not. If I do, I’ll probably eat more starch than just this bread.